At the age of 94, Marian Koonce could well be celebrated entirely for the remarkable achievement of providing the world with seven successful children, 12 grandchildren, and 14 great-grandchildren, but there was much more she was compelled to do for her community and for her country over her long and productive life. Marian began life as the middle of three children of Methodist missionaries in Africa. The family returned to America with her father suffering from malaria. It was the height of the Depression, and they experienced extreme poverty, living in a lean-to on the Hudson River in New Jersey. Despite these conditions, she started on the road of her incredible journey, fighting to stay in school and graduating as valedictorian from Newton High School in Bucks County, Pennsylvania. After the family scraped enough money together to move back to their home state of Texas, Marian did whatever it was that was necessary to get herself in to the University of Texas. Itâ€™s a certainty that she didnâ€™t â€œbuy her way inâ€! She never graduated but soaked up every bit of education and information she could find to continue to build her foundation of hard work, knowledge of many subjects, and brilliant use of the English language. Marian and her first husband, William Hill, started married life together in Santa Barbara in 1943. They began to build moderately priced homes while raising five children. Bill was killed in a small plane crash in 1966, but Marian carried on with the business. She married her beloved second husband, Elmer Koonce, who had been a partner with Bill and Marian. After Bill died, Elmer was extremely supportive of Marian, her large family, and all her many activities. He became â€œanother fatherâ€ to her children, bringing a daughter to the marriage and having a son with Marian. Elmer had been a B-25 Mitchell bomber pilot with countless combat hours flying in the Pacific in WWII. He was, like Marian, a product of the worst Depression in the history of the world, never owning shoes until the 7th grade when an uncle died and left him a pair. Elmer passed away in 2012, and Marian had him â€œsalutedâ€ with a stunning flyover of seven vintage WWII planes across Santa Barbara and their beautiful home in the San Roque hills. While juggling family and business, Marian began her long career in Republican politics and many other civic activities in the 1960s. She supported Ronald Reagan as cochair of the committee to elect him as governor. It is uncontested in the archives of Republican Party history that Marian and Lyn Nofziger together invented direct mail, which got Ronald Reagan elected governor twice! She and Elmer were VIP guests at both inaugural balls for the governor and then for the two in Washington, D.C., when Reagan became president. Marian also had close relationships with George Deukmejian, Pete and Gayle Wilson and Bob and Norma Lagomarsino during their 24 years in Congress, and Brooks and Kate Firestone. She served as a delegate to four consecutive National Republican Conventions, was a founding member of the Lincoln Club and was a Charter Member of the Republican Hall of Fame. She was twice appointed by President Reagan and again by George H.W. Bush to the National Council on Disability. Her unwavering tenacity and hard work for nine years resulted in the passage of the Americans with Disabilities Act, the ADA, impacting millions of lives. Holmes Tuttle, a close friend and head of Reaganâ€™s Kitchen Cabinet, christened Marian the â€œFounder of the Fearsome Foursome.â€ This was a group of four women, including Marian, Diane Klinger, Mabel Shults, and Hazel Richardson, who went on to state and then national notoriety as tireless fundraisers and vote delivery systems (all the while wearing large jewelry and sitting in the front row of all major Republican events) for Governor Reagan and then many other Republican candidates from local city councilmembers to the White House. 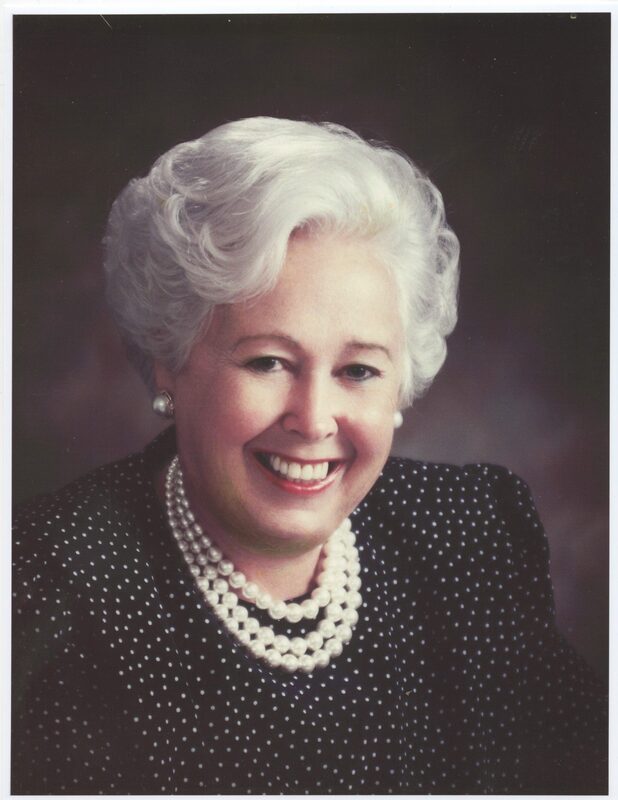 During this same period, Marian also served as the first woman on the Board of Montecito Bank & Trust, the boards of the Visiting Nurses Association and Hospice, Las Positas Park Foundation, the Santa Barbara Symphony, the Rehabilitation Institute of S.B., Cottage Hospital, Channel Islands YMCA, and the Multiple Sclerosis Society. She was named California Woman of The Year in 1996 by the State Legislature. During this time and for the rest of her life, she also mentored many young people in becoming community activists. The word â€œdynamoâ€ often preceded her name, and she did not â€œsuffer fools gladly.â€ Idle chit-chat, with the notable exception of good gossip, was not her forte. She was always laser focused on â€œwhatever needed to be done.â€ She counted all the â€œswellsâ€ of the tri-county area as good friends and financially supported their causes. She also assisted many poor families, providing housing, cash advances on payroll, and, sometimes, assistance bringing family into the country from Mexico and Central America. Non-Republicans would often vilify her conservative politics, but she always took care of everyone who needed and deserved help. Marian Koonce was a fierce, creative, prolific, and lifelong wordsmith, as well as a ruthless Scrabble player, competing nationally and highly ranked. She beat a close friend in a hot contest just days before passing. She wrote stories and poems for family and friends, and she played the S.B. News-Press Codeword Puzzle daily, even on the day she closed her eyes for the last time. Marianâ€™s beloved daughter Melinda Hill Calbow suffered from MS for many years and lived with her for the last four years. Mother and daughter were caretakers for one another and best friends. Melinda passed away less than 48 hours after Marian. All of us who had Marian in our lives are greatly blessed and molded in her likeness forever. One canâ€™t help but wonder what she might have achieved if she had been born in 2019 instead of 1924.